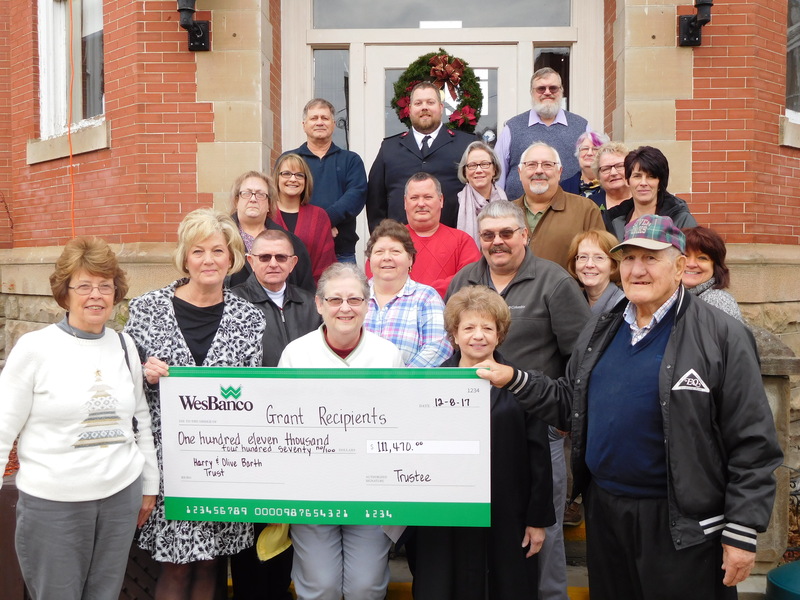 Fourteen organizations in the Sistersville and greater Tyler County area have been awarded grant funds totaling $111,470 from the Harry E. and Olive T. Barth Charitable Trust. 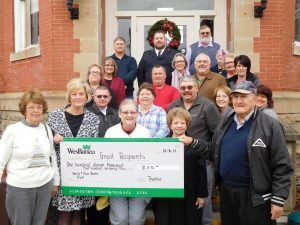 The Community Foundation for the Ohio Valley oversees the grant making process of the Trust, while WesBanco Bank, Inc. serves as Trustee and Investment Advisor. Grants and gifts made from the Trust are recommended by an advisory committee comprised of stakeholders and advisors. This structure enables input from the community and encourages strategic use of available resources. Members of the advisory committee include Cindy Perring of WesBanco Trust and Investment Services, Linda Henriksen, Dr. Ralph Boone, Tammi Bowers and Judy Yaeger. A reception was held at the Sistersville City Building on Friday. Grantees and representatives of the Trust gathered to celebrate this significant philanthropic gift and learned more about the projects receiving funding. The Barths established the Trust to extend their dedication to the Sistersville area after their death. Through this, the Barths’ interest in supporting animals, community organizations and beautification efforts can continue in perpetuity.